Today is the birthday of Google co-founder Sergey Brin who turns 40 today. Russian born, his family immigrated to the United States when he was young. While attending university to work on his Ph.D in computer science, he developed a world-wide-web data-mining technique with new-found friend Larry Page in their dorm room at Stanford which developed the first steps to the massive search engine we all know today. As their dorm room got crammed with systems to support this popular software, they moved on to a rented garage and it all went uphill from there. Brin is associated with a large number of patents not only in relevance to Google, but in other areas of computer science as well. Brin and Page use the patent system for its true purpose, protecting ideas. They even have the infamous Google-Doodle concept patented, although it took a little battle to get and criticism. 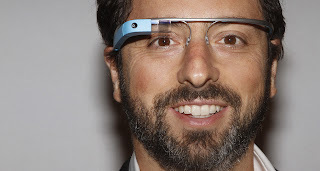 In the current events of legal battles and “patent-trolls”, Sergey Brin is a refreshing type of innovator, running a company who resides on a pillar statement of “Don’t Be Evil”. This also includes Google's Open Patent Non-Assertion Pledge which was spoken about in a previous article on this blog. Again we tip our hat to Sergey Brin on his 40th, a true modern-day innovator who believes that knowledge is better than ignorance.